Hey everyone! Hope you are doing good! I know I have been MIA a lot. I have been swarmed with work and I am focusing on other areas of my life a bit at the moment! But that doesn't mean that I will completely ignore my blog! So, here is a video tutorial for you all! 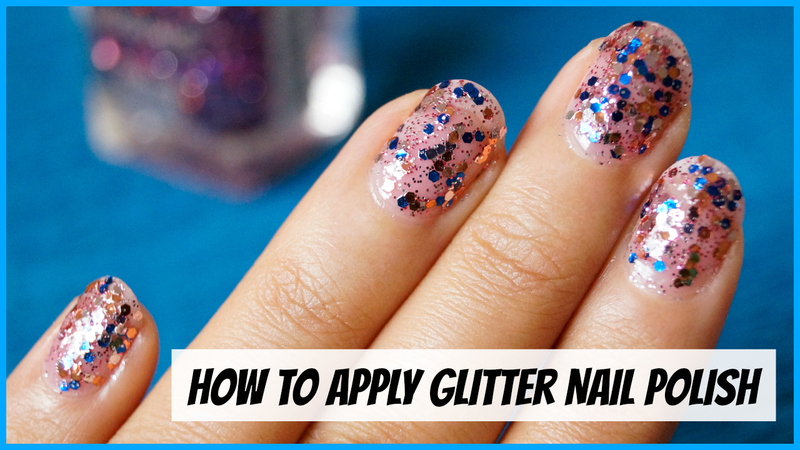 I am showing you how exactly you can get maximum pay off from your glitter polishes. Make sure you subscribe to my channel on YouTube! It would mean a lot to me. and my nail polish tutorial below. I hope you find my tutorial helpful. Please tag me on any social media you like, if you follow my tutorial! Thank you so much for this! Like I said before I am terrible at nail arts be it glitter or not :( This will help!